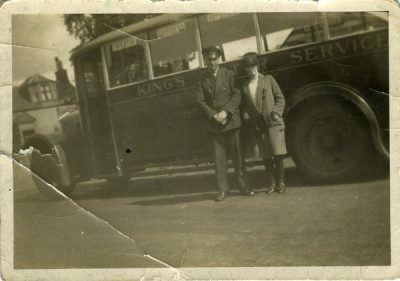 The driver and boy conducter stand by this single decker bus. 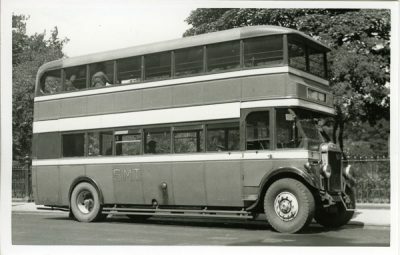 It served Bieldside, in the Aberdeen City boundary, Aberdeenshire. 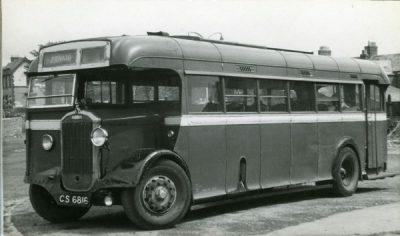 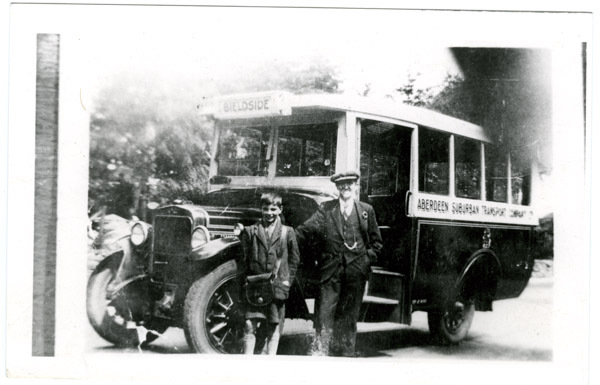 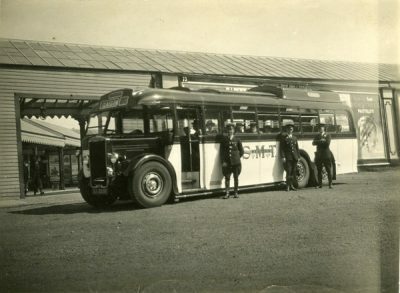 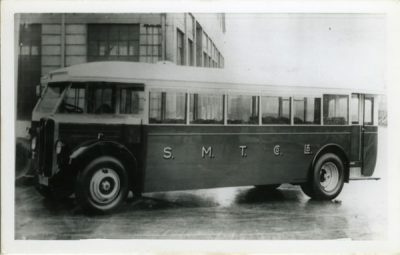 It was operated by Aberdeen Suburban Transport Company.